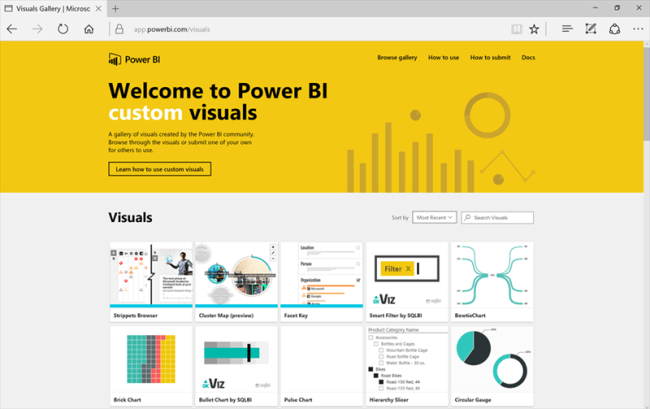 Power BI consists of a set of visuals which you can use. However, if you wish to make your reports more attractive or the provided visuals do not satisfy your needs, there is another option for this. 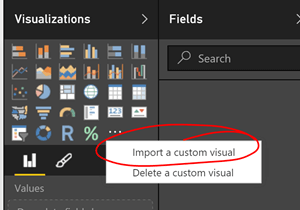 The Power BI community offers customized visuals for the users. These visuals are created by the users, but are available for everyone to use. On the page, you will see a set of the available visuals. Browse through the visuals, which appeal to you. You can click on the visuals to know more about them. 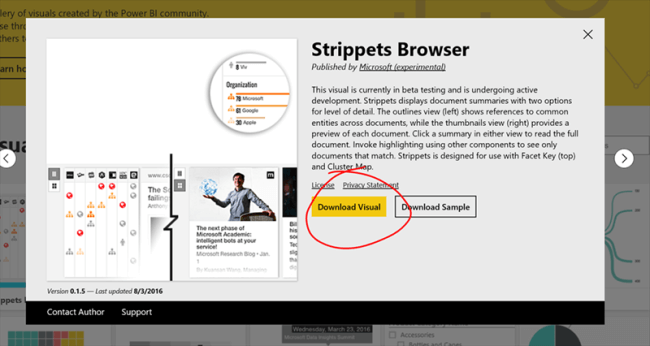 Under the description, you now have the option to download the visual and download the sample. For the starters, downloading the sample is a good option, as it shows how best the visual can be used and also you get a rough idea on using it for your own report. However, for this tutorial, we will just download the visual. 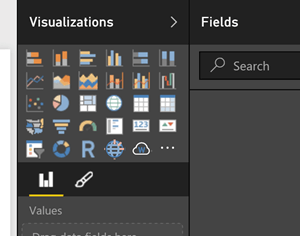 Once the visual is downloaded, open Power BI desktop. 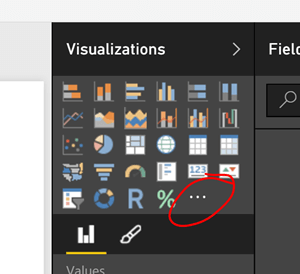 On the Visualization Pane, you can see a three dot icon. This icon is for importing or deleting the custom visuals. Click it. Click Import a custom visual. A warning sign will appear. This warning sign is to make the users aware of the fact that these visuals are not created by Microsoft and can possess some threats. Click Import and browse through the location, where the downloaded visual is situated. 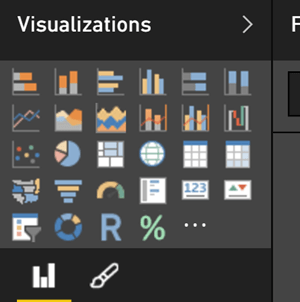 Once the new visual is imported, you will see a new icon on the visualization pane. You can now start using it in your report, like any other default visual. If you want to know more on how you can create your own visuals, click Here.